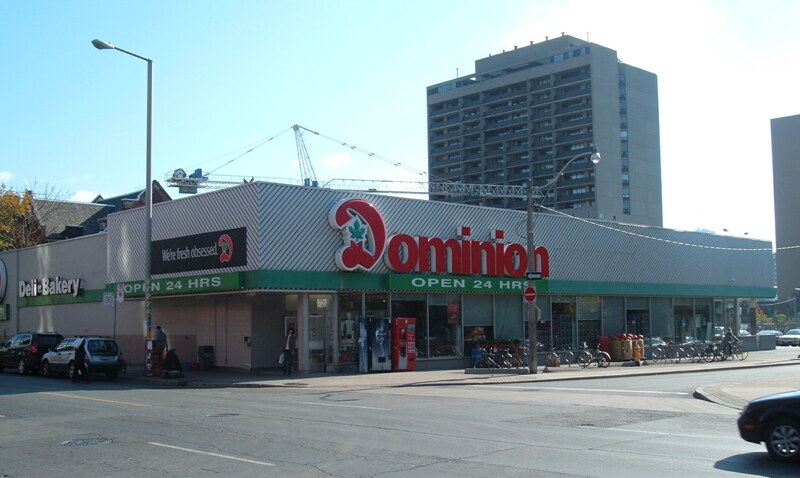 Established in Toronto in 1919, Dominion Stores at its peak were found in most of Canada. Dominion was acquired by A&P Canada in 1985, though some of its stores, particularly those west of Ontario, were sold to Safeway, Loblaws, and others in the years preceding this transaction. A&P ultimately reduced the brand’s footprint to the Greater Toronto Area, and A&P Canada itself was acquired by Metro in 2005, and the Dominion name was retired in 2009.